Yes, I know, we are all crazy about Slack. No need for me to try and convince you about its benefits as a collaboration tool. You already know better than I do. 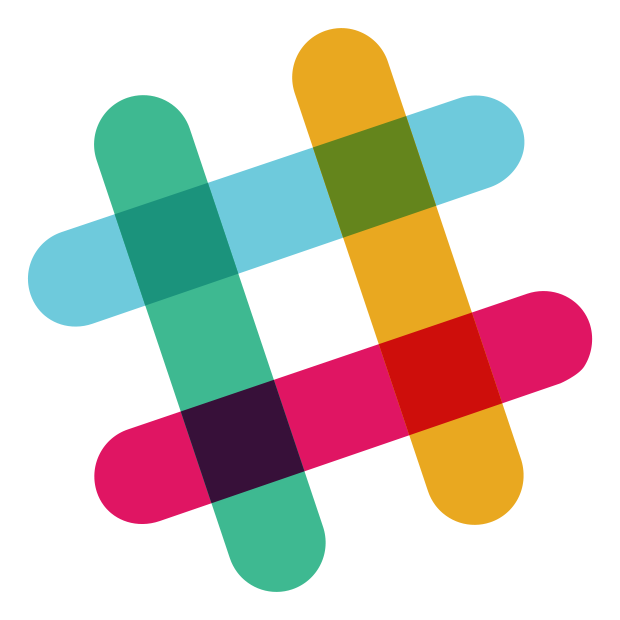 I am writing this post to discuss a use of Slack that you have probably not thought about. Namely, using Slack as a personal knowledge hub. Yes, you heard it right. All of what makes Slack great in your team, can be applied for your personal needs. Combined with the best features of other knowledge management tools like Evernote, it can turn you into a GTD superhero. Is this the same Slack we’re talking about? Absolutely! We’re talking about Slack, as in, your favorite team chat app. Slack disrupted team communication by eliminating boilerplate and introducing an always-up-and-always-on nature to group conversations. Email and traditional AIM chat tools leave the feeling of the context of a conversation being lost among the replies. That’s why, we’ve been taught to wrap our messages with lots of boilerplate, as well as reiterate many times on the same subject. Slack is different. Being always-up-and-always-on, it keeps the state of a conversation saved and searchable, so you can go back to any message, at any point in time. This has changed the way our team conversations look like. From heavy-boilerplate dialogs, to something that resembles a single, continuous thought, gradually being developed over time. No additional ceremony, no going back and forth. Just that, a directed thought flow, starting from a single idea, and developing over time. No wonder why agile teams like ours, previously appalled by the idea of spending time writing memos, dev logs, reports, using project management tools, etc, so happily adopted Slack. It was this idea of Slack helping thoughts flow in a casual conversational manner, that got me into adopting it into my personal workflow. I have been a long time user of note-taking and archiving tools such as Evernote. In fact, I have been using Evernote since early 2008, and It is still my #1 tool of the trade. After 7 years of trial and error, I came to the following conclusion: as a knowledge archiver, there is hardly ever a single tool that works better than Evernote. When your notes are complete and well laid-out, have readable titles, and are well organised, it is a pure bliss to search within, and find what you need in seconds. Yet, this is not how our brains work. When we develop an idea, we sketch stuff on scratch paper, drop unfinished sentences and half-complete thoughts, throw links and other resources into the mix, without explaining them. You just can’t get to the well-written format that note archiving and document management tools expect from you, without throwing everything that comes to mind at the wall, and seeing what sticks. Thought generation is a messy and additive process, and is NOT what tools like Evernote are particularly good at. It is where tools like Slack come and shine in the light. Step 1: Sign up for a personal Slack team. Yes, this is correct. Your personal team is supposed to have one and only member — you. Don’t worry if it sounds a little weird having a team of yourself, just go on. Step 3: Start dumping your thoughts as they come to your mind. This might sound as the weirdest part in the beginning, but believe me, it is SO worth it. If you have any concerns about being crazy, because of chatting with yourself,you shouldn’t. When we think, we question and talk to our inner minds all the time. It’s part of the process of producing ideas, and moving them in a certain direction. What should your thoughts be? Of course, anything goes. Simple comments, questions, notes, links, files, photos, emoji. Anything. If it is in your head, take it out, and put it in the Slack timeline. Give your head more room for thought. Don’t care so much about being complete, or grammatically correct, etc. Just go with the flow. Twitter: Your tweets and RTs are part of your thought process too. Don’t lose them, but rather automatically collect them in your personal Slack. GitHub / BitBucket — if your are a programmer, you can get code change logs inserted automatically into your Slack timeline, after every commit. Extremely helpful later on, when you review your day/week later on. For services that don’t yet provide an official Slack integration, you can always check out IFTTT / Zapier and find recipes that work for your needs. Now, after having dumped our thoughts in Slack for a while, we finally come to a point, in which we will use the real power of knowledge management tools like Evernote. Although Slack offers advanced search and retrieval capabilities, I advise you to find a good knowledge/document management tool, which you will be using fro long-term thought archive. As an alternative, you may try using Slack posts, as they are searchable as well, support advanced Markdown formatting, and unlimited edits. Plus, they can be published. Whatever the tool you use, the idea is to regularly stop your work (daily, weekly), and revise your Slack timeline. This is the point, in which you analyze your scattered thoughts, unfinished comments, partially answered questions, etc, and create well-written and well-organized notes. Keep those notes up-to-date, as you regularly revise your Slack timeline. With time, some of them may turn into large multi-page documents, others might get split, third might simply vanish out of relevance. Having all of them neatly organized though, makes sure that you will never get to lose them. Our knowledge is a precious resource, and we ought to fight for keeping as much of it on our side, as we can. You never know if the idea you wrote and filed as irrelevant one year ago, might not prove out to be next billion dollar miracle.